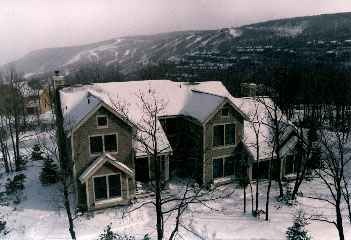 Poconos Mountains PA Places To Stay - Research and reserve secure online reservations with instant confirmation at 69 Poconos hotels, bed and breakfasts, inns, resorts and vacation home rentals. Making reservations at our rentals, hotels, resorts & inns couldn't be any easier. Here is a simple way to reserve a place to stay in the Poconos Mountains region of northeast Pennsylvania. "The Best Places To Stay"
Then, visit our comprehensive guides to other accommodations above . Watch for the icon for places that our staff has visited or heard good things about. Reserve right here online with our secure server. Be sure to tell them "I Found You On PoconosBest.com". Thanks! Camelback Road, Tannersville. Near skiing & Camelbeach water park. Mountain views. Small resort. 5000 acres of parks nearby. Indoor / outdoor pools, exercise room, Jacuzzi / sauna room near pool. 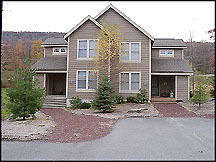 In the center of the mountains close to outlet shopping, horseback riding, golf, hiking. This is more than a hotel and just less than a full resort located at the base of Camelback Mountain and Camelbeach Waterpark. Rt. 715, Tannersville, PA - A basic hotel/motel with real good rates ($65-120), located just off Rt I-80 At Exit 299 near CamelBeach Waterpark and Camelback Ski Resort and Adventure Park (3 miles), The Crossings outlets and the village of Tannersville. Restaurant onsite, most rooms have views with some Jacuzzi rooms.Stay here for Pocono Raceway events or just as a base to visit the Poconos. Most fun activities are less than 20 minutes away. Main Street Exit 305 off Interstate Rt. 80 near downtown Stroudsburg. A full-service, 2 story, 134 room hotel. PoconosHotels 3 Star Rated.Under New Management and looking good. Near all major attractions in the Poconos. Health club, indoor tropical courtyard, heated indoor pool, sauna. Near nightclubs, art gallaries, and courthouse. 12 Miles to Camelback Mountain Resort with skiing, waterpark, and Mountain Adventure Park. 10 Miles to Mt Airy Casino, and about 22 miles to Pocono Raceway. I- 80 E Stroudsburg. There's nothing "budget" about the Budget Inn except the price! On rare occasions, you find a really special place like this to stay.They take great pride in exceeding your expectations. Whether business or pleasure you'll enjoy the personal service. Eat downstairs at JR's Grill & Salad Bar, a local favorite. 115 rooms 2 stories renovated. AAA 3 Diamonds Pet-friendly hotel - Just put notice on reservation. Rt 940, Mt. 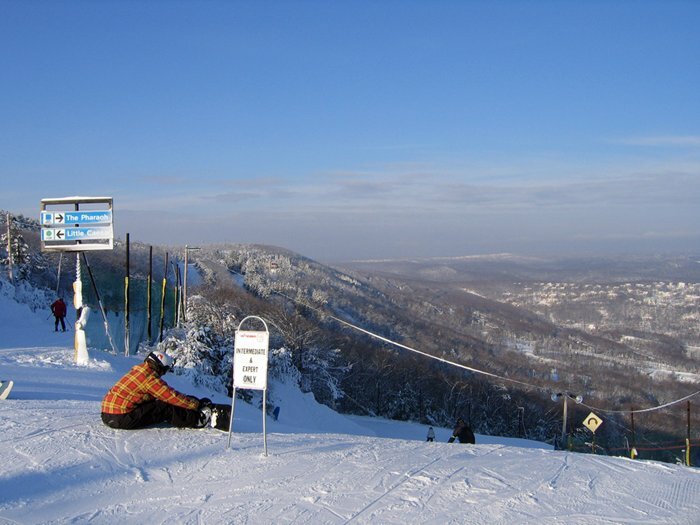 Pocono - In the heart of the Pocono Mountains near many different attractions including Camelback and Camelbeach and Camelback Adventure Park (about 10 minutes), offering a little something for all travelers. Built in 2003 and kept in great condition with seasoned management, it has large comfortable rooms, deluxe continental breakfast area, oversized comfortable "living room" style lobby, indoor pool, whirpool spa, fitness room. Stroudsburg Park Avenue Exit off Rt I-80 Motel with outdoor pool within walking distance of art galleries, restaurants, shops and the courthouse in downtown Stroudsburg. Continental Breakfast, wireless internet and adjacent to a diner for a full breakfast. 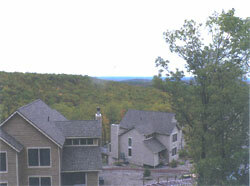 Minutes to Camelback, Shawnee, Camelbeach, and most Pocono Activities. Jim Thorpe, PA. Built In The 1840's and renovated to preserve the essence of the era of gaslights, horse-drawn carriages & Victorian opulence. It is said General Grant, President Taft, Buffalo Bill, Thomas Edison, & John D. Rockefeller have all passed through the doors. Nearby activities like boating, fishing, children's playground, golf, cross country skiing, sailing, horseback riding, galleries, hiking trails, jogging track, mountain biking, train rides, snow mobiling, swimming, water skiing, & snow skiing.